CALGARY — It’s common for dealers to tailor payment plans to buyers’ needs, but a Calgary dealer who sells high-end cars is taking that idea to whole new levels. The average consumer faced with either paying cash or financing for a vehicle worth $20,000 to $50,000, usually finances because he doesn’t have the ready cash to buy outright. The finance plan works for both buyer and seller. 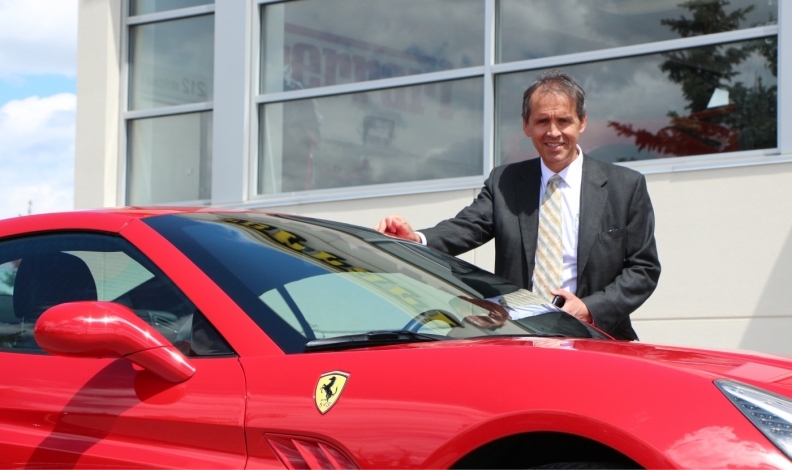 Carlo Galasso, dealer principal at Calgary-based Ferrari-Maserati-Rolls-Royce-Alfa Romeo of Alberta, has been running a promotion called Car of the Week that’s aimed at a much higher financial strata. Galasso is offering new and used Ferrari, Maserati and Alfa Romeo vehicles through a long-term payment option with a sizeable downpayment and big bi-weekly payments running over 72 months. He thought it would work in Canada and has discovered that many of his high-end clients, who are perfectly able to pay outright for a new Ferrari, find a payment plan much more convenient. A new Car of the Week offer arrives each Friday by email to a select audience. The price has been deeply discounted to “about a break-even point” and the offer is good for just one week. “We sell from 60 to 70 per cent of the vehicles we feature,” he says. For instance, a 2018 Maserati GranTurismo MC convertible with a sticker price of $226,205 was listed recently for $20,000 down and $1,572 bi-weekly over 72 months at an interest rate of 3.9 per cent. He says the program has worked and is proving to be popular not just with potential buyers but with people who just like to see the lovely cars. “Cars are about dreams as well as reality,” says Galasso. “Car of the Week is an innovative program that gives people something to look forward to at the end of the week.